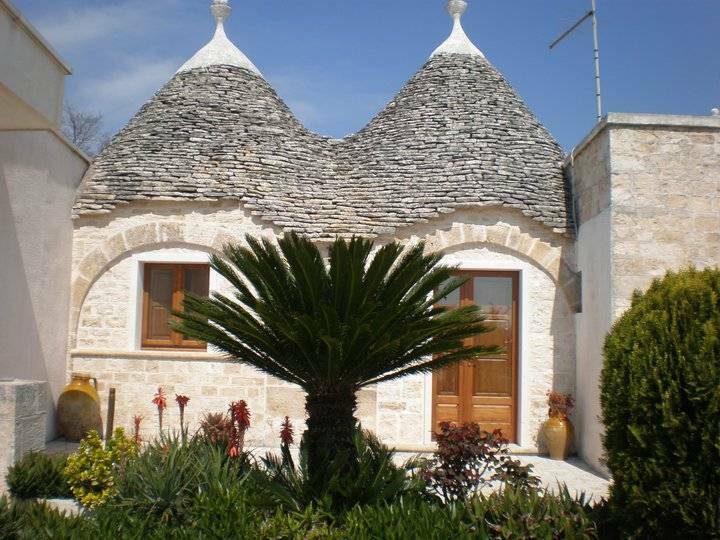 At 1km from the centre of Alberobello "contrada colarossa" on a hill of 460 metres above sea level, stands the beautiful structure, a "trullo" dating back to the beginning of 1800, recently completely restored. 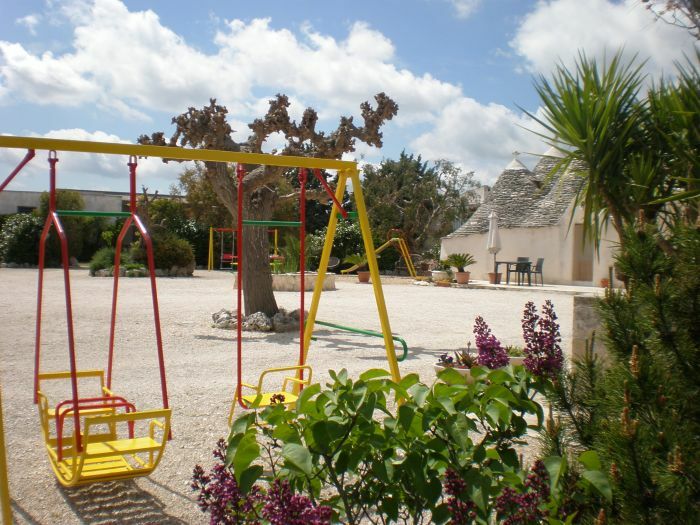 The "trullo" consists of 3 apartments "Rosa", "Viola" and "Gelsomino", independent equipped with dining room, kitchen, bathroom, living room with fireplace, bedroom and a large courtyard with playground for children. 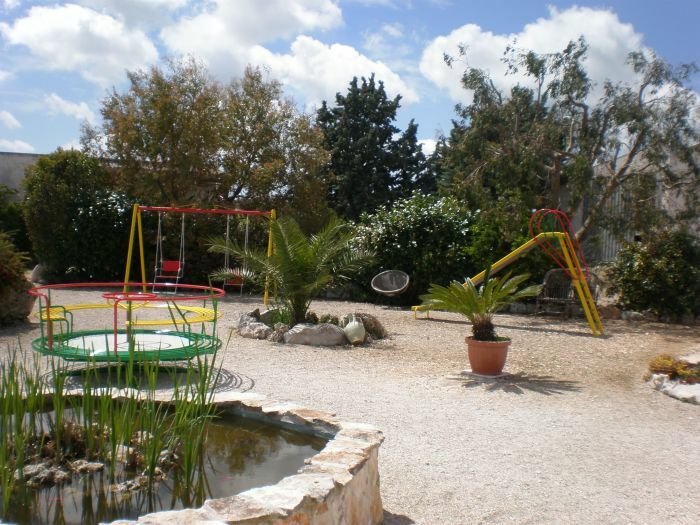 Our apartments can accommodate families of 2-4-6 persons. We are available to you for recommend you the most interesting excursions in area. Guests can make free use of organic products, vegetables, fruit and extra virgin olive oil (plants not treated with anti-parasitic). We are waiting for you.... we are open all year! 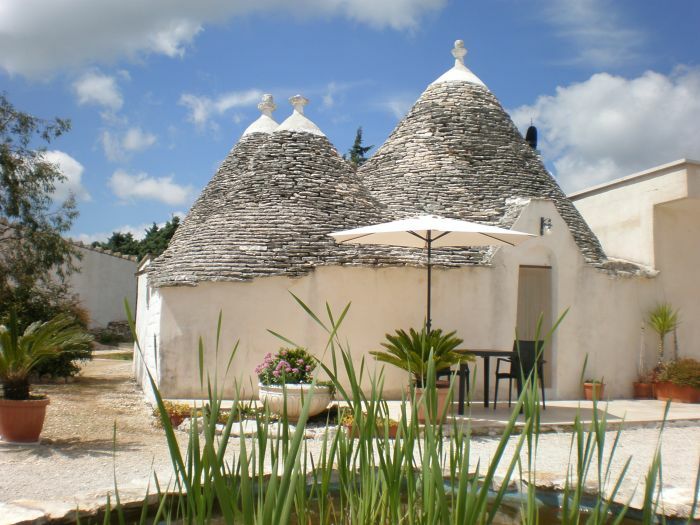 Our trulli are located 1 km from the historic center of Alberobello. Famous throughout the world for their typical stone building and recognized as' World Heritage of Humanity' by UNESCO. 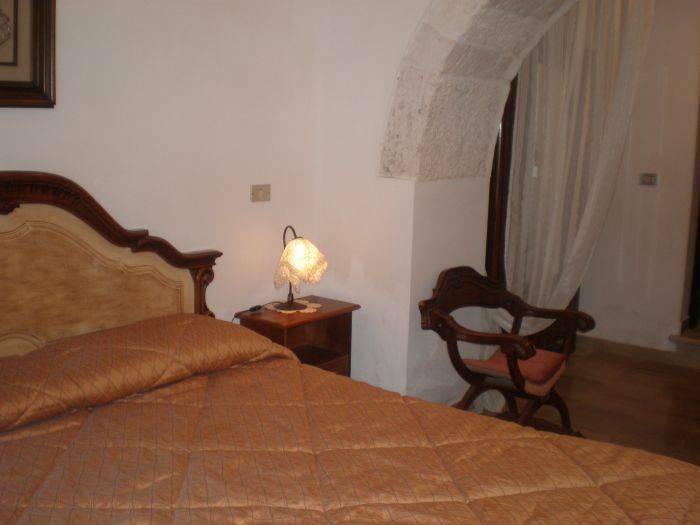 The country is located in an area of great interest archaeological and landscape that includes the Castellana Caves (15km) Itria Valley located between the towns of Locorotondo (7km), Martina Franca (13km) and Cisternino (16km), the white city of Ostuni (40km), the Sassi di Matera (60km), not to mention the beaches of Monopoli, Chapter and Savelletri with their places of entertainment (15km), the Zoo Safari of Fasano (10km). Take the S. S. 16 towards south (if you come from Brindisi towards north). 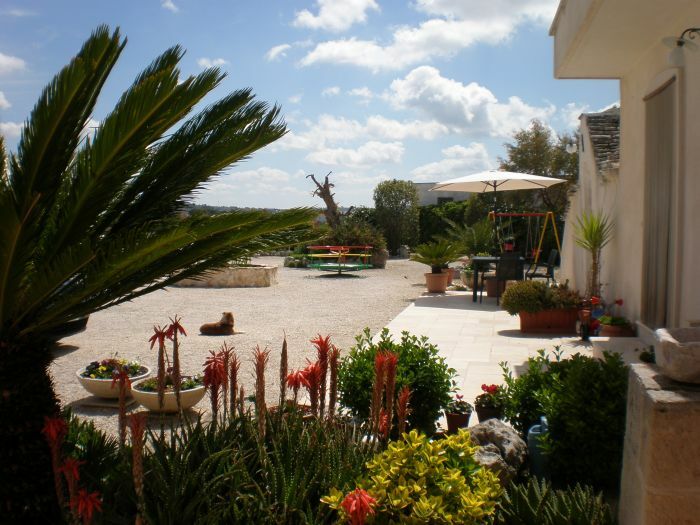 When you arrive to Monopoli take the exit "Monopoli - Alberobello" continue in the direction towards Alberobello for about 16 KM.